(Warning: This blog post may load slowly because of all the embedded videos. Every year I get excited to share with my kiddos our district & local library Summer Reading List (more about that below!) and to try and generate new ways to catch their interest in reading over the break. 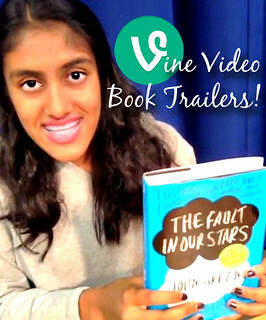 This year we decided to create video book trailers using the Vine App! Six second videos that loop with sound. No editing needed, just creativity! You Gotta ASK For It! When I originally had this idea, I got permission from my principal and then I emailed & called my district tech leaders Julie Wray @jwwray and Robert Cole @racolej to see if I could actually do it. Unfortunately, the Vine App wasn't approved yet -sooooo I asked if it COULD be and then I had to scramble to adapt the idea using a flip camera. Luckily, Bob Cole pushed the Vine App through in about a week, and BAM! We were back in Vine business! Thanks Bob & Julie! You Rock! If you don't ask - it doesn't get approved! I am posting these videos to Vine under my name because of our Responsible Use Policy. Vine has been approved for high school students over 13 - but because our kiddos are Middle Schoolers, they create & I post on my newly minted library Vine channel. Let me assure you that these videos are kid written, storyboarded, and produced. OK, I may have helped a little w/ some creative ideas here and there and held the iPad once or twice....but So cool, right? Click for the NEW MHMS Daring School Library Media Center VINE Channel! Why Vine? We wanted a fun, easy way to share video book trailers! With so many of our computers being used for testing, and how long editing takes on iMovie, Vine sounded like the perfect solution! With the added benefit of easy stop action filming built into the App means that kids can experiment and be super creative! 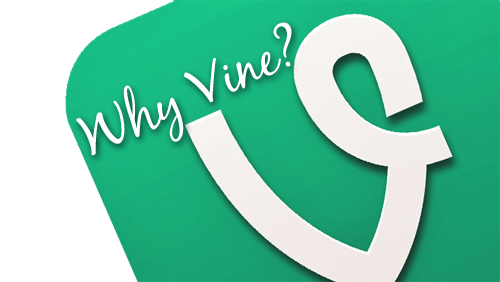 Vine videos are easily shareable and embeddable- it's a great vehicle for easy video production. You can embed the videos in two ways, the simple mode or as a postcard. I've shown both types in this blog post. A Vine for all Seasons & Subjects! Vine could be a great project idea for many different subjects. Off the top of my head, quick living history re-telling, public service announcements, science experiment quick clips, artist gallery walk, service learning projects, and healthy living tips! Visit our Video Book Trailer Wikispace Page for more directions, tips, a FREE Downloadable Storyboard, & More! Everything we create is Creative Commons so feel free to Take, Use, & Share! The Fault in Our Stars by John Green NOTE: This is a High School book & available at our local library - get your parent's permission to read it! OK? Here's our downloadable Middle School Summer Reading List! Created by a Howard County Public School System Middle School Teacher Librarian and a Young Adult Librarian celebrating our A+ partnership with the Howard County Public Library! 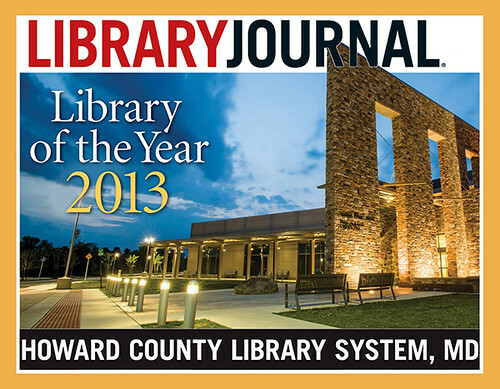 Speaking of the Howard County Public Library System - let me congratulate them again for being named the Library Journal Magazine - Library of the Year! Hey dear readers! Did you notice a change to the blog design? Over the years I've changed my blog header at least twice a year - heck, sometimes twice a week! But I haven't changed the blog template until now! What do you think? Too much? Or just enough? Some really cool ideas on ways to use Vine. Definitely way cooler option than the traditional book report! Thank you Cat for your comment! So glad you like the idea! Ban the Book Report - let's move to PBL & projects that creatively show information mastery! W00t! Thanks, Mary!!! Seems only fitting as I get many great ideas from YOU!! Our PLN is so wonderfully generous - miss you friend! Hi Tricia, thank you for your comment! I'm so glad you like this, if you should do this project with your students I'd love to see your Vines! Cheers!